AMarkets delighted to reward new clients by offering the opportunity to start trading with $30 No Deposit bonus. 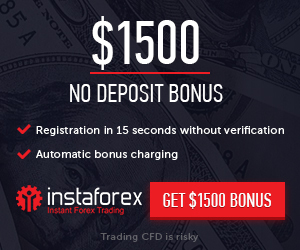 The $30 Free No Deposit Bonus is available only Clients who opened an account through AMarkets. Use the opportunity to check out AMarkets trading conditions with no need to invest your own funds. Don’t waste time and take advantage of our unique offer before it’s over. A client achieves minimum trading turnover of 2 lots on Forex instruments then Profit will be available for withdrawal.